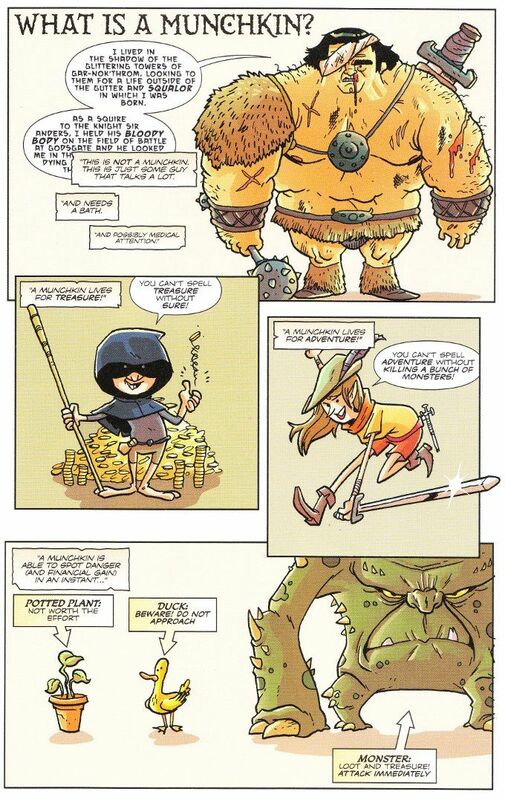 I wasn't certain I'd be reviewing Munchkin #1 after I read it. I like it just fine. I just wasn't sure how to go about reviewing a book like this. Even the comic itself seems uncertain about how to sell this concept to those who aren't already familiar with the card game which inspired this book. 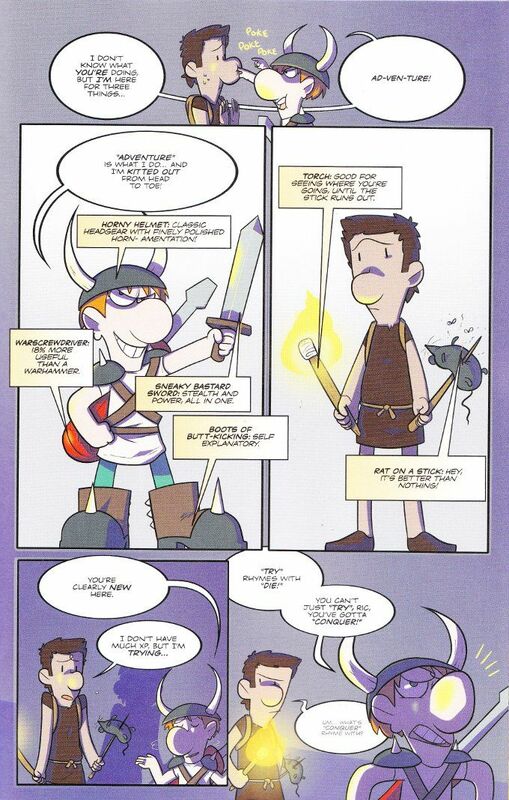 The comic collects a number of strips that involve the Munchkin card game in some fashion. As might be expected, the focus here is on the humor rather than on characterization and the other things that usually make a comic book readable. Munchkins do not bother with such finery, being concerned only with the bloodshed and the reward. 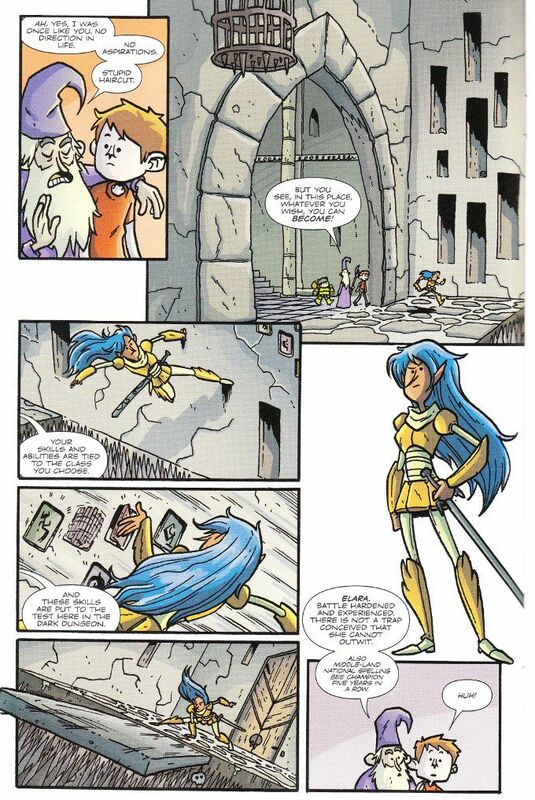 As such, there's not much of a plot to speak of regarding most of the comics contained within this volume, save for the one written by Skullkickers writer Jim Zub. And even that is limited to Munchkin mascot Spike showing a newbie around the dungeon in order to teach him several important lessons. Including the most important lesson - don't trust anyone. If you're a fan of the card game, you'll probably enjoy this comic. If you aren't... well, you might still like this comic if you're the sort of person who enjoys comedic fantasy ala Bored Of The Rings, Nodwick and Gail Simone's Red Sonja.